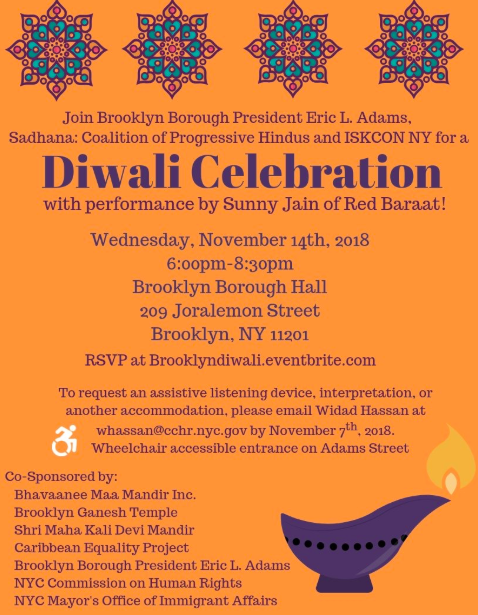 DOWNTOWN BROOKLYN – Brooklyn Borough President Eric Adams is teaming up with Sadhana, International Society for Krishna Consciousness (ISKCON NYC), NYC Commission on Human Rights, and the Mayor’s Office of Immigrant Affairs to host a Diwali celebration at Brooklyn Borough Hall Wednesday evening. 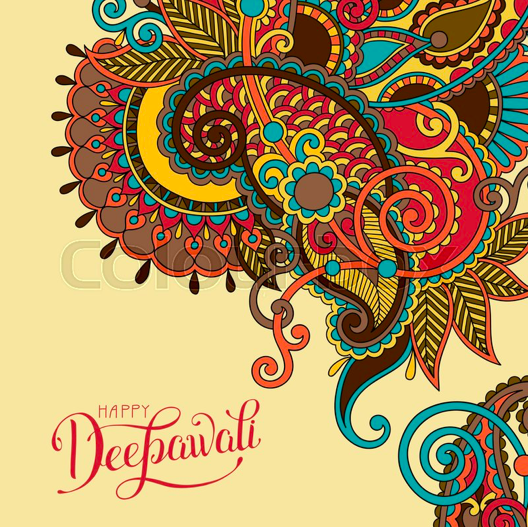 Diwali is the annual five-day Hindu festival of lights in which Diyas (oil lamps) and candles are lit, fire crackers are ignited, gifts are exchanged, colorful Rangoli floor patterns are designed, feasts are cooked, and offerings are made to the Goddess Laxmi. Diwali celebrates good over evil and light over darkness. Tomorrow’s free event will be an interfaith celebration, reflecting “on the battle between good and evil that is taking place all around us in our city, and within each of us.” Spiritual leaders and elected officials will deliver messages of unity and Grammy-nominated Jahnavi Harrison and musician Sunny Jain of the Brooklyn-based Red Baraat will perform. Indian delicacies and snacks will be provided. On Saturday, November 17, head over to the Park Slope Armory YMCA for another Diwali celebration hosted by Mixed Masala (NYC families). The event will feature Desi snacks, activities for the kids and an outdoor Diya and/or sparkler lighting at Prospect Park. Attendees are welcome to bring their own sparklers however no other fire crackers will be allowed. Proceeds from the event will be donated to South Asian Youth Action (SAYA), a NYC youth development organization.